his Advent calendar provides brief, spiritual reflections for each day. 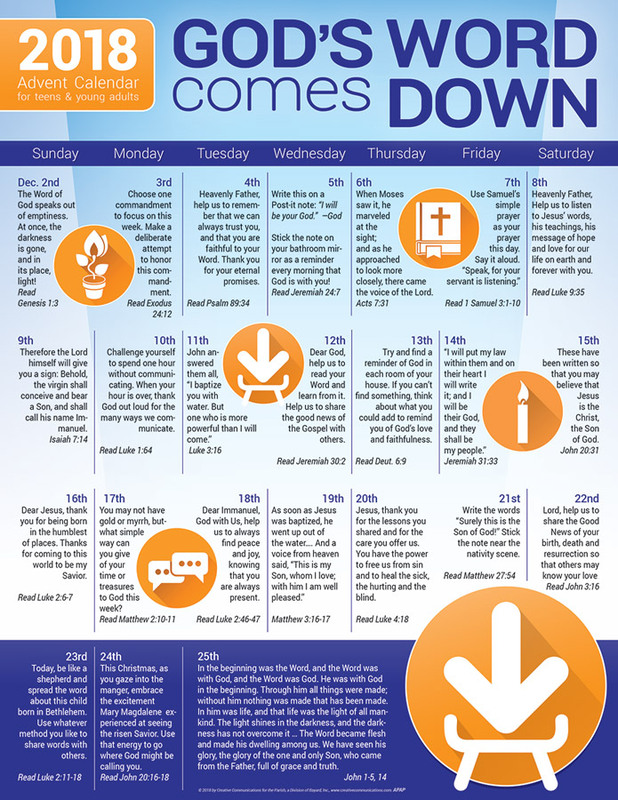 Through Bible verses and simple calls to action, this informative calendar helps teens welcome God’s Word in practical ways. The teen calendar matches the teen devotional book GW3.